Dogs inspire us every day—they don't judge, they don't worry about the past, or are not preoccupied by the future. Dogs teach us to live in the moment—to love and to play, with no limits. 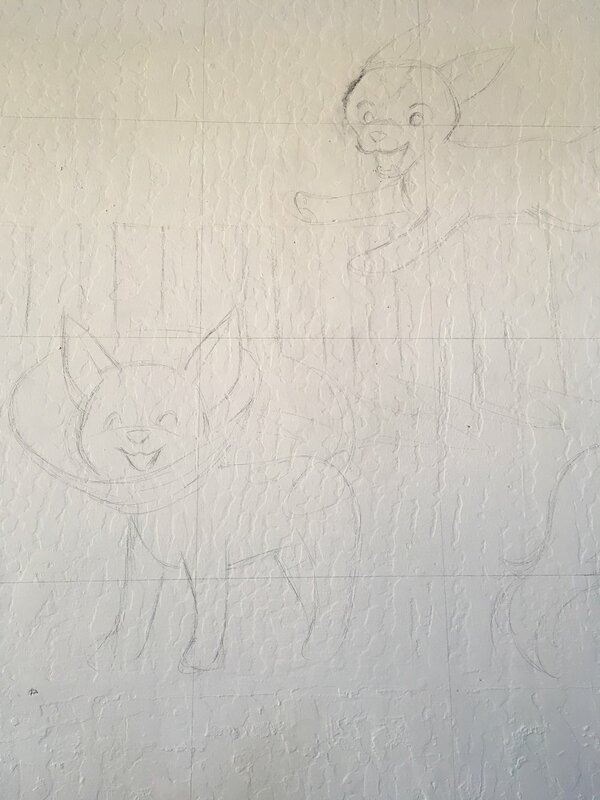 The dogs pictured in Phuong-Mai Blasich's original mural at Pup Plaza represent rescue dogs who have deeply touched our lives, and made them better. Pup Plaza is a place where all dogs are celebrated, and rescue dogs are revered. We seek to unite dog lovers in positive ways and inspire the community to support dogs in need. Phuong-Mai “Mai” Blasich is the founder artist of P.M.B.Q. Studios, a graphic and panda arts studio in San Jose, CA. Her work focuses on cheerful animal characters doing everyday things, striving to remind us to stop, enjoy and appreciate the simple things in life. Mai’s creative career began in 1993 as a comic artist in Antarctic Press’ series, Ninja High School. She has done work with Marvel Comics, Dark Horse Comics, and went on to self-publish her action-comedy comic Tea Club. 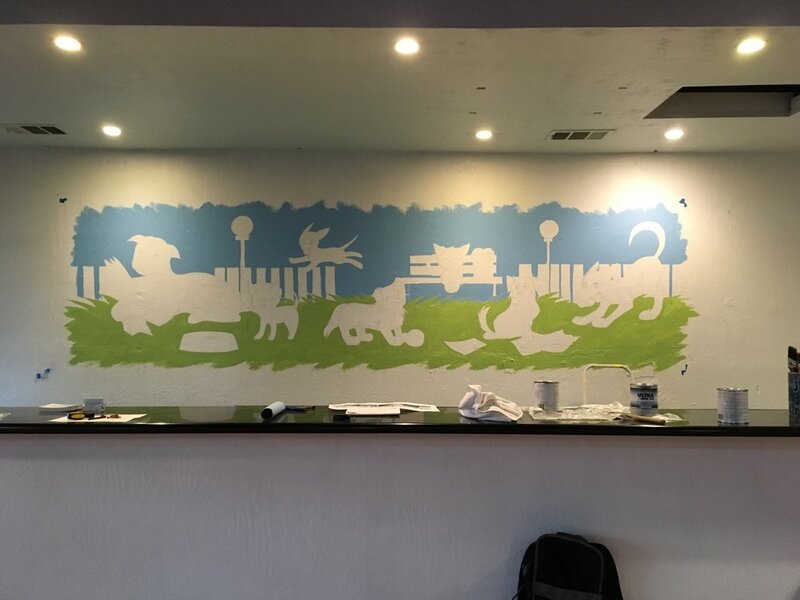 You can also see Mai’s public mural work in downtown San Jose at the “First Street Panda Cafe & Bakery”, a 180 foot-long mural stretching around the corner of North First and San Fernando Streets. Explore more of Mai's work on her website, pmbq.com, and Instagram @pmbq. One of SVPP's all time favorite love bugs, Oscar spent a very long time in foster care recovering from orthopedic surgery and waiting for a special family to find this extraordinary dog. 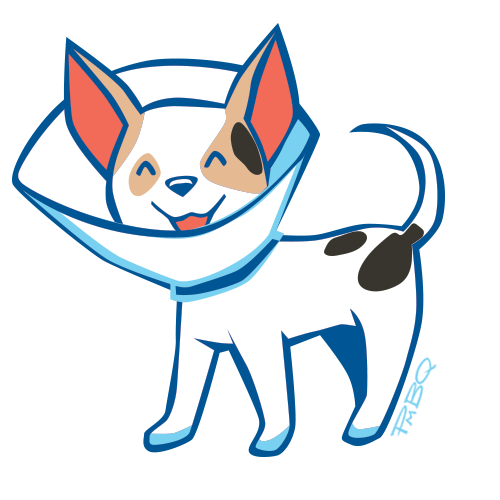 Pippin the puppy spent a lot of his puppydom in a cone due to broken legs. Unlike many dogs, Pippin enjoys the cone and feels just as happy with it on vs. not. At 1.5 years old, Milo became blind due to juvenile cataracts and struggled with this drastic change. After cataract surgery, Milo's sight was restored and he flies thru the air with joy being able to see the beautiful world around him. Despite a short time with SVPP due to progressive cancer, Tucker touched everyone who met him. His optimism and spirit personifies a dog's joy for life, and a tennis ball. RIP Tucker Boo. Read more about Tucker here. Waffles represents many dogs who spend a long time in foster care waiting for their forever home. Waffles is a connoisseur of chew toys and treats, and has many tricks up his sleeve. Waffles is still available for adoption! Read more about him here. Dexter's physical transformation from a dog that had such severe skin infections to a shy dog with a gorgeous coat is a testament to the love of dog foster parents. 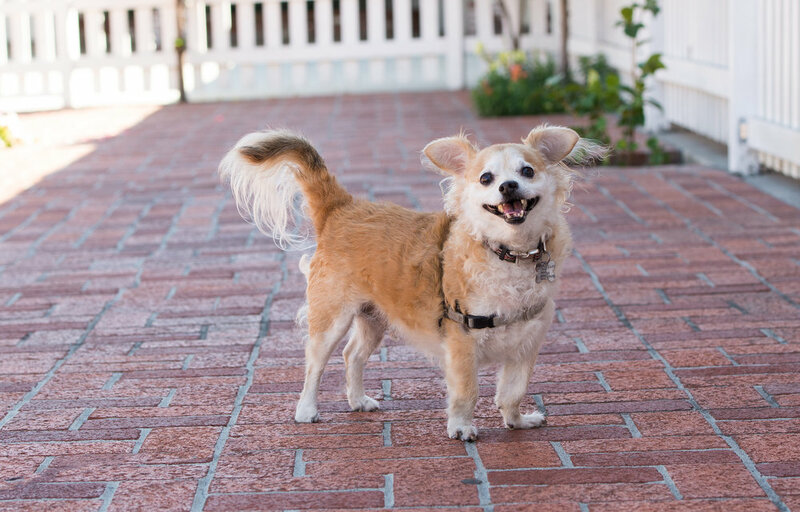 Sugar's health has taken many turns, but she will always be cared for by SVPP. This dog is beloved by many, and she revels in the joy of a new tennis ball.